CAREER HIGHLIGHTS: Germany's longest serving auto executive joined the company's management board in early 1997, when it was still known as Daimler-Benz. He took over as head of former Daimler subsidiary Chrysler in 2000. 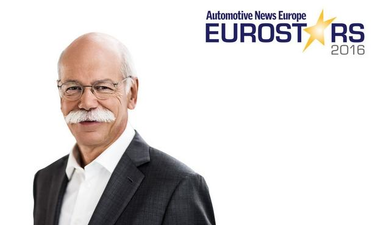 Zetsche started his current job in January 2006. REASON FOR WINNING: Zetsche has dramatically improved Daimler's profitability with his 2 billion euro cost-cutting program. He has also been the driving force behind Mercedes-Benz's successful product revamp. With a more stylish A class, the arrival of the GLA compact crossover and a bevy of popular S-class derivatives, Mercedes is on track to recapture the title of world's best-selling premium automaker from BMW this year for the first time since 2005. Zetsche had promised to meet that target by 2020. In addition, Mercedes nearly met Zetsche's 10 percent operating margin target for last year.